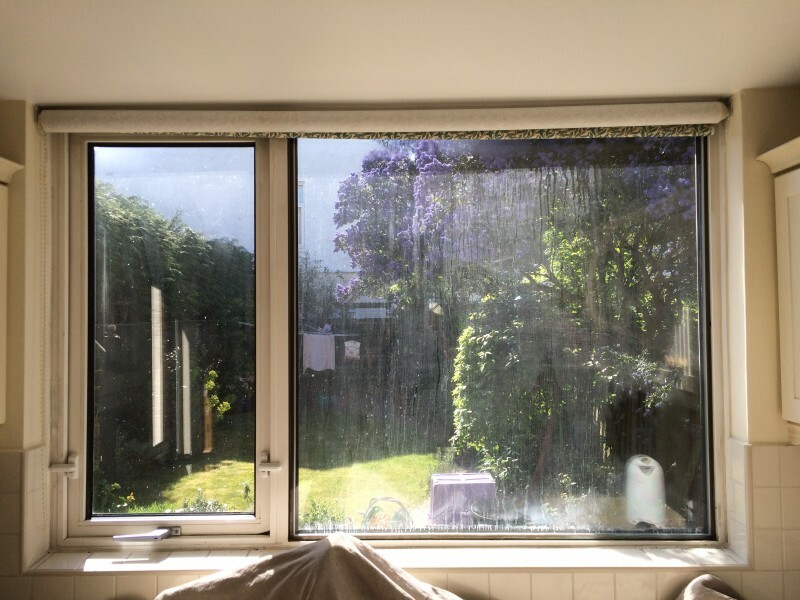 Comments: I had two double glazed units in my kitchen window that had started to build up moisture inside the unit. The problem had been getting worse and I was having trouble seeing out of the larger unit. 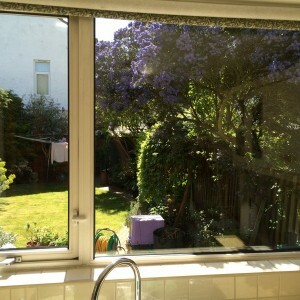 1st Call Glazing fitted two new double glazed units and I could not believe the difference that made! 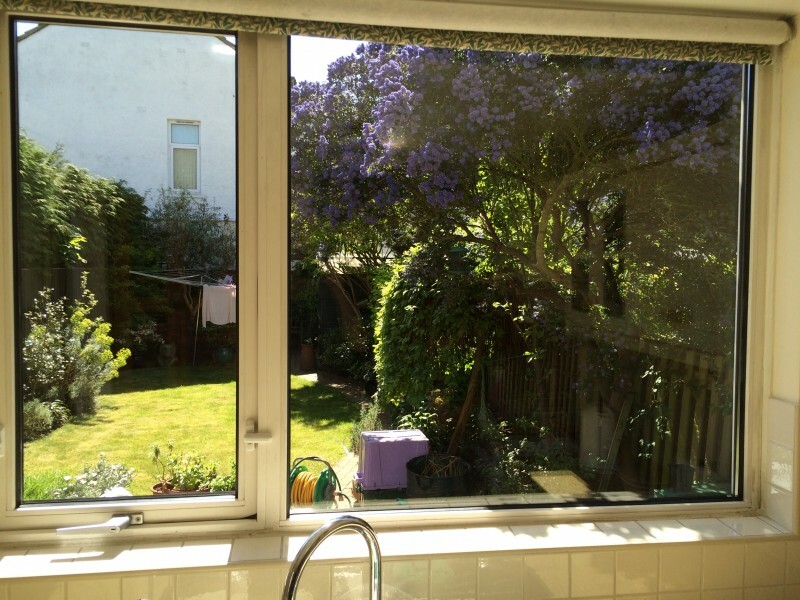 I was very pleased with the work carried out and would most definitely recommend 1st Call Glazing. I always try to support good local companies. 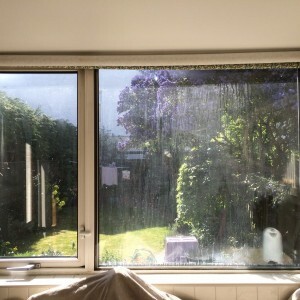 Picture of misted double glazed units.